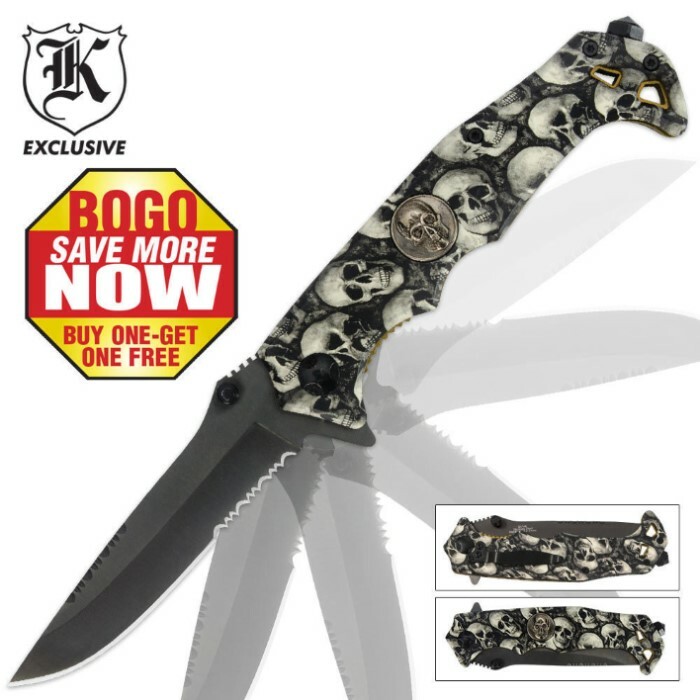 Black Legion Skull Camo Assisted Opening Pocket Knife 2 for 1 | BUDK.com - Knives & Swords At The Lowest Prices! If you want a folder with a blade that's always at the ready, then this Black Legion folder is the one for you! The razor-sharp, black-finished stainless steel blade rockets open when you engage the assisted-open mechanism, triggered by the blade spur. The aluminum handle features a skull camo coating and a skull shield. You will receive two of these knives with your purchase. BV149.